1Co 13:1 If I make use of the tongues of men and of angels, and have not love, I am like sounding brass, or a loud-tongued bell. 1Co 13:2 And if I have a prophet’s power, and have knowledge of all secret things; and if I have all faith, by which mountains may be moved from their place, but have not love, I am nothing. 1Co 13:3 And if I give all my goods to the poor, and if I give my body to be burned, but have not love, it is of no profit to me. 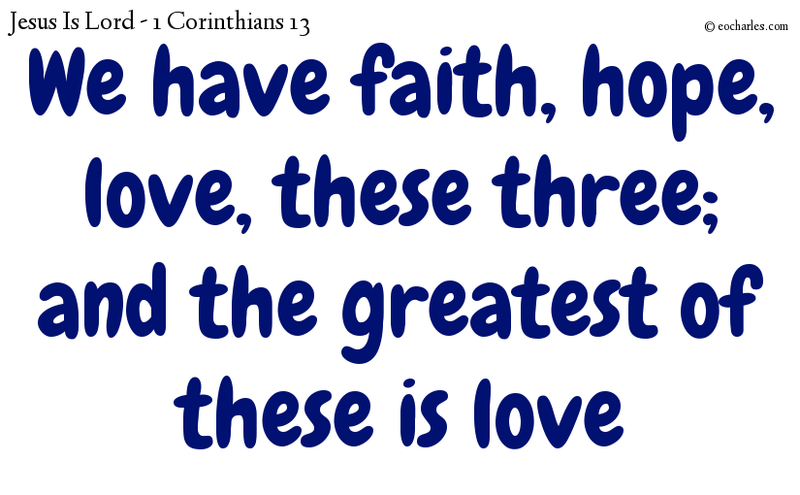 1Co 13:13 But now we still have faith, hope, love, these three; and the greatest of these is love.